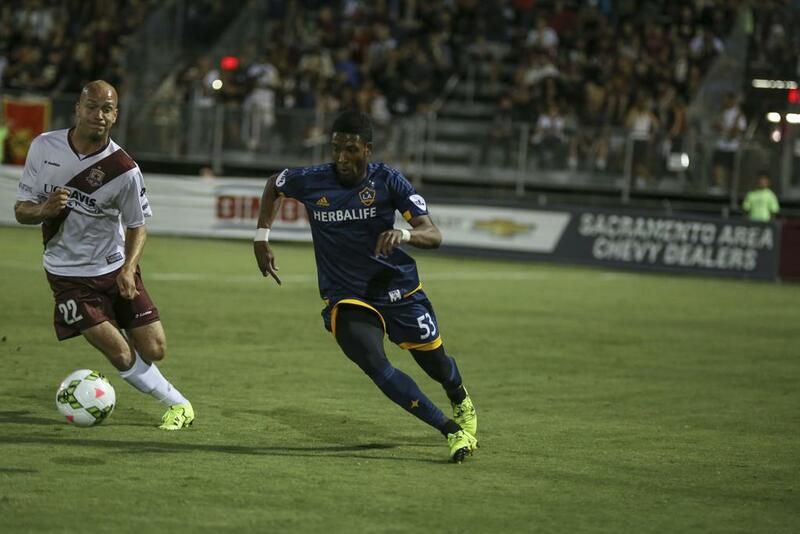 LA Galaxy II converts early penalty kick, withstand late run from Republic FC in 1-0 victory. LA Galaxy II were first on the score sheet in the 12th minute after Republic FC defender Emrah Klimenta was called for a foul against Los Dos forward Jack McBean down in the box. Forward Bryan Olivera stepped up to the penalty spot and sent a well-placed left-footed strike into the upper right corner of the net. Republic FC keeper Dominik Jakubek guessed right but was unable to get a glove on the shot as it hit the back of the net for the early 1-0 lead for the visitors. Republic FC worked quickly to find an equalizer, but despite a constant barrage of attacks were unable to find a goal and the half ended with Los Dos still leading 1-0. 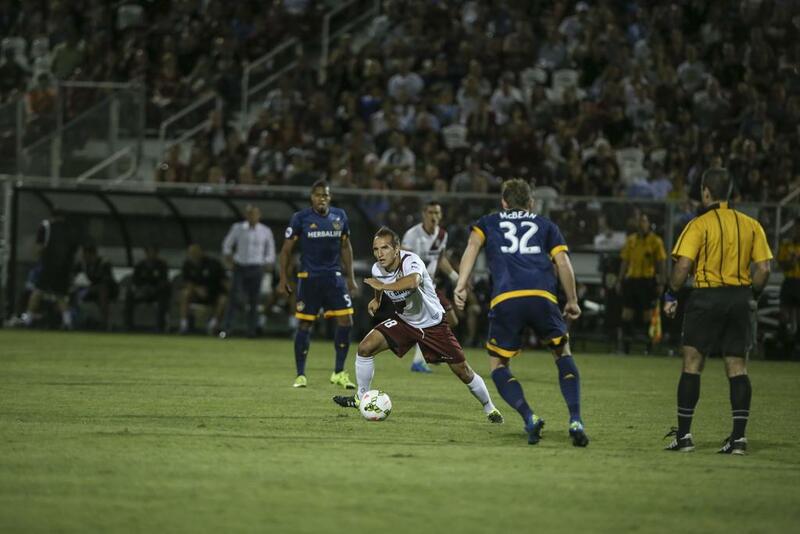 The half started slowly for both teams, but Republic FC would pick it up near the 70th minute. Their best scoring chance came in the 74th minute when forward Justin Braun sprung Tommy Stewart past the defense with a lofted through ball. Stewart tried to beat the oncoming LA keeper Clement Diop but he was able to stop the shot. The rebound fell in the box but Braun was unable to get another shot off. 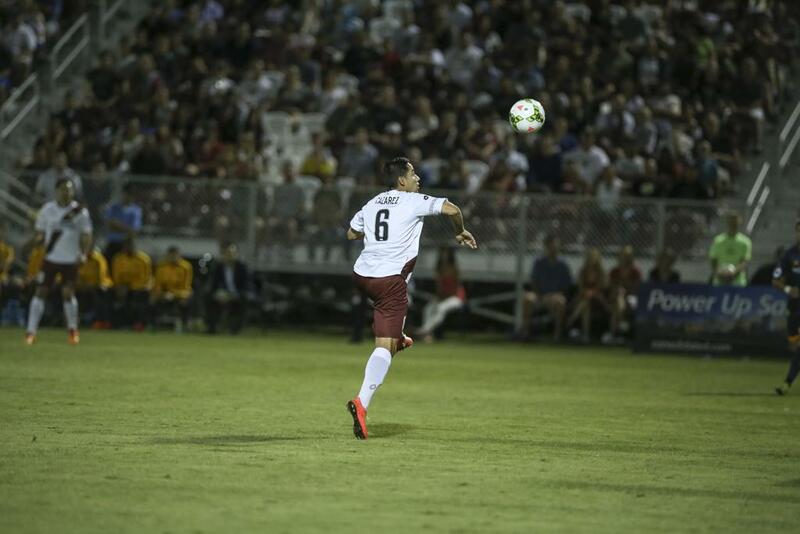 Republic FC would not have to wait long for their next scoring chance in the 77th minute. After a nice bit of build-up play from Klimenta, the ball fell to Rodrigo Lopez near the touchline. Lopez was able to send a chipped cross into the box but Diop got a hand to it and batted it down inside the box. Braun, again, was in rebound position and this time sent a driven right-footed side-volley from the six yard box, but it found the head of Los Dos defender Joe Franco, who was defending on the goal line. The home team attacked the goal relentlessly in the final five minutes of the match but Los Dos keeper Clement Diop made every possible save. In the 88th minute Danny Barrera sent a flick header on goal from a Nemanja Vuković cross, but Diop dove to his left and parried the shot away. In the 89th minute Braun got his head on a cross and sent it right under the crossbar, but Diop made the athletic diving save to send it out of play. 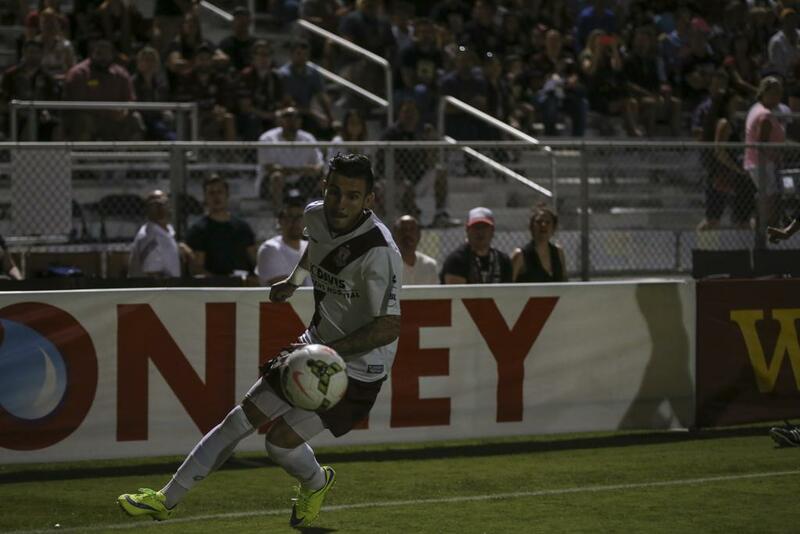 The match ended after eight minutes of stoppage time with Republic FC going scoreless for the third straight match. 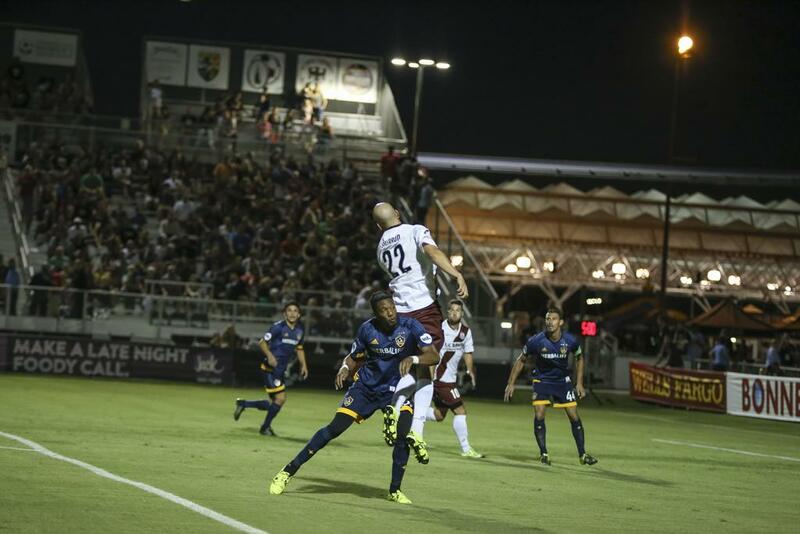 The loss ends Republic FC’s repeat title run after winning the 2014 USL Championship. Subs Not Used: Bennett Sneddon, Lee Nishanian, Adonis Amaya. Stats: Shots: 3, Shots on Goal: 1, Saves: 4, Fouls: 13, Corner Kicks: 3, Offside: 0. 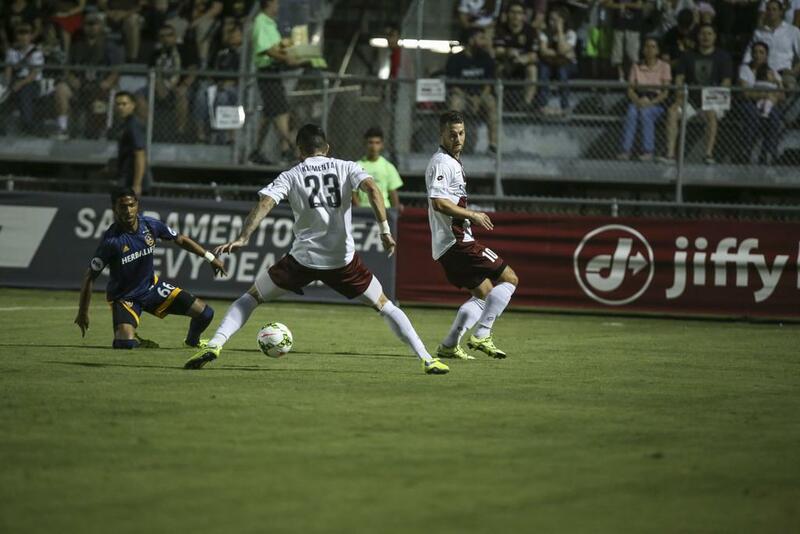 Sacramento Republic FC – Dominik Jakubek; Emrah Klimenta, Mickey Daly, Nemanja Vuković, James Kiffe; Agustin Cazarez (Gabe Gissie 73), Ivan Mirković, Danny Barrera, Rodrigo Lopez; Mark Sherrod (Justin Braun 51), Thomas Stewart (Cameron Iwasa 81). Subs Not Used: Patrick McLain, Max Alvarez, Derek Foran, Alfonso Motagalvan. Stats: Shots: 15, Shots on Goal: 3, Saves: 0, Fouls: 15, Corner Kicks: 5, Offside: 2.